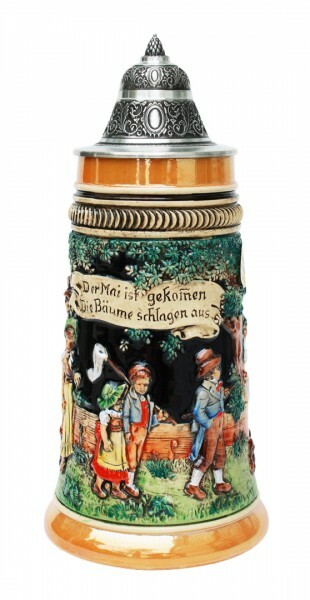 Product information "May Celebration beer stein yellow painted"
Very nice designed beer stein in the antik finish with the celebration of the May festival. Folks and animals celebrate the renewal of life in May. The German Saying "Der May ist gekommen, die Bäume schlagen aus" would translate to: May has arrived, and the trees are in bloom. Related links to "May Celebration beer stein yellow painted"
Customer evaluation for "May Celebration beer stein yellow painted"